Here’s your chance to bid on dinner with Toto's Steve Lukather, and meet the band. 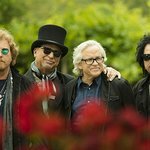 A new charity auction from CharityBuzz.com is giving you and your guest the chance to enjoy a once-in-life-time opportunity by dining with Steve Lukather in catering after TOTO’s pre-show VIP meet and greet. In addition along with 2 premium tickets to TOTO’s 40 Trips Around the Sun, you will attend sound check, take a photo with Toto and receive exclusive commemorative mementos. Few ensembles in the history of recorded music have individually or collectively had a larger imprint on pop culture than the members of TOTO. As individuals, the band members can be heard on an astonishing 5000 albums that together amass a sales history of a half a billion albums and more than 200 Grammy nominations. TOTO has over 400 million streams on Spotify alone along while views on YouTube far exceed over a half billion. With over 40 years together and thousands of credits, including the biggest selling album of all time (Michael Jackson’s Thriller) and accolades to their names, TOTO remains one of the top selling international touring and recording acts with a multi-generational worldwide fan base. 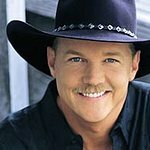 Proceeds from the auction will go to Chris Evert Charities, which provides prevention and intervention programs to eliminate drug abuse and child neglect. To find out more and make a bid, click here.